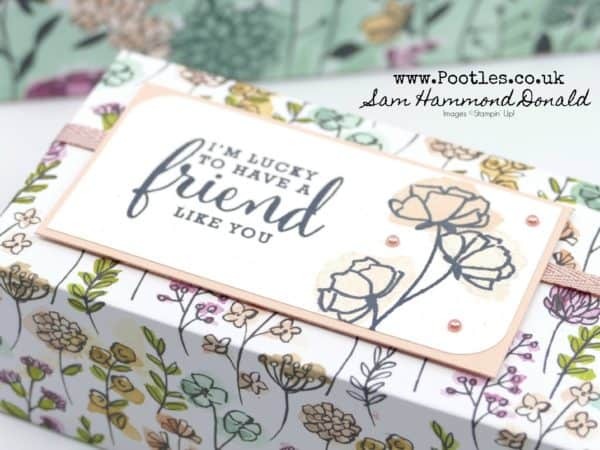 Well, if you haven’t fallen in love with the wonderful pearly paper that is the Share What You Love speciality paper, then I’m hoping you will now! Interestingly, these 2 boxes don’t actually use the pearlised paper from the pack, but I think the little twinkle in the ribbon from the Garden Impressions suite is perfect as a little bit of light sparkle. I love these sized boxes. They’re whoppers and perfect for so many things. They finish up at 8 x 3 x 2″ (20 x 7.5 x 5cm) which makes them totally fillable with so many things. Imagine some crinkled tissue paper and then a gift nestled in there. Easy to make I hope you make some too! Love the box! You are so creative! 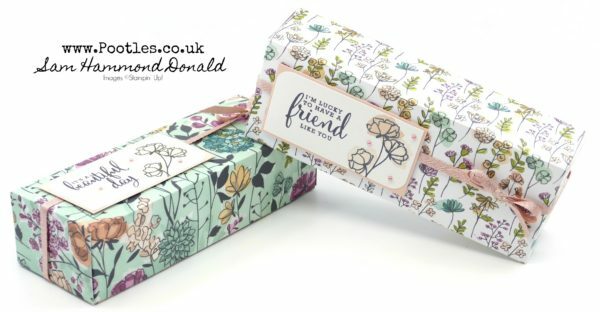 That paper makes such a lovely box!! Beautiful little box! Thanks for another fun project and video. Love this box. Easy to make and big enough for small toys for kids, baked goodies. I have made 3 of them. Two I have on hand for when the unexpected occasion arises. The third I put a toy car gift inside, fit perfectly. For the holidays coming up Oct, Nov, Dec I make baked goodies put in small little boxes that I like to make and tie with a tag and ribbon. Could you make a box like the Chinese take out box (maybe 3 1/2 inches at the top). I follow your posts and love what you do.